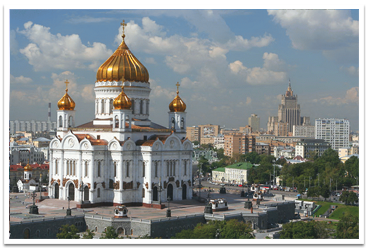 The Capital of Russia, Moscow is a unique blend of modern architecture and old charm. Unlike Saint Petersburg, that's so quiet and relaxed, Moscow is referred to as the City that never sleeps, and finding your way there on your own can be difficult and challenging. At ULKOtours PREMIUM we are committed to providing the best services for you so that you could see and feel the beauty of Moscow at its full, without any risk of getting robbed, lost or fooled.